Ideal for FAMILIES & FRIENDS who want to be a breath away from the main sightseeings and stay cheap. Amazing VALUE FOR MONEY Italian style apartment, with FREE WiFi, 4 min walk from Parthenon, Acropolis museum & Acropolis METRO station, PLAKA & Thissio. 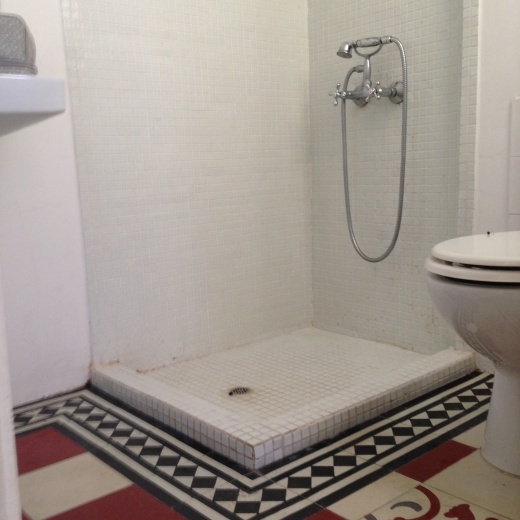 We offer a one-bedroom 45 square meters flat/apartment, consisting of a bathroom, kitchen, a living room and bedroom. Amenities include open wi-fi access and washing machine. 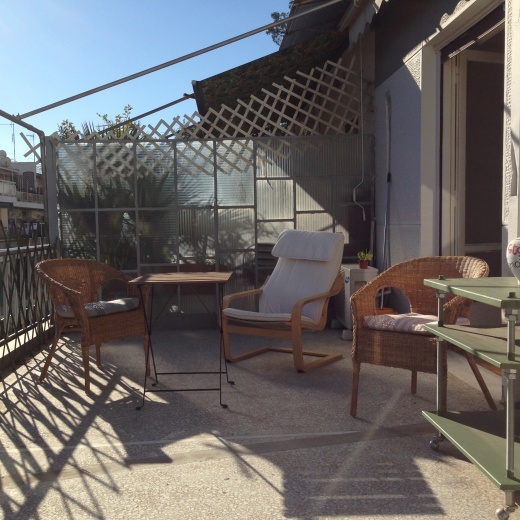 Although it is situated in a very central area of Athens, on the 4th floor, the apartment/flat offers a peaceful place to relax and enjoy your stay as a typical local Athenian. Facing east, it receives a significant amount of sunlight from sunrise to sunset. It is amazing the amount of athenian light that comes inside. Ideal for travellers who want to experience the famous Greek sun! I always make sure to be in the apartment during check-in in order to welcome the guests and orientate them on both the apartment and the city through maps and guide books. Always happy recommending places according to the guests interests and questions. Guests are always welcome to join me and my friends on a night out or on a walk. The neighbourhoods of Makrianni and Koukaki are south of the Acropolis and Mount Filopapou. They are bordered by Sigrou Avenue to the south and the beautiful pedestrian avenue of Dionissiou Areopagitou to the north and are therefore within easy walking distance of just about anywhere in Athens that you would want to be. EVERYTHING is accessible on foot. Trust me! As you explore Athens, try to make the city your own. Walk its streets; take in its scents; linger in its sidewalk cafes, courtyard gardens, squares, and rooftop terraces; take in a show in an ancient open-air theater, or an avant-garde performance, concert, or art exhibition at one of the new multipurpose arts complexes; enjoy a movie under the stars. Climb its mountains, swim in its waters, visit its ancient temples and Byzantine churches, try its food and its nightlife, and see as many museums as you can. Explore its ancient districts and its most modern ones, to witness an ancient city discovering its modern soul in front of your very eyes. Greeks enjoy their nightlife so much that they take an afternoon nap to rest up for it. The evening often begins with a leisurely volta (stroll); you'll see this in most neighborhoods, including the main drags through the Plaka and Kolonaki Square. Most Greeks don't think of dinner until at least 9pm in winter, 10pm in summer. Around midnight, the party may move on to a club for music and dancing. One-bedroom 45 square meters flat/apartment, consisting of a bathroom, kitchen, a living room and bedroom. Check the Athens News (published Fri) or the daily Kathimerini insert in the International Herald Tribune for listings of current cultural and entertainment events, including films, lectures, theater, music, and dance. The weekly Hellenic Times and monthly Now in Athens list nightspots, restaurants, movies, theater, and much more.